The Coastal Table: Our First Guest Post! 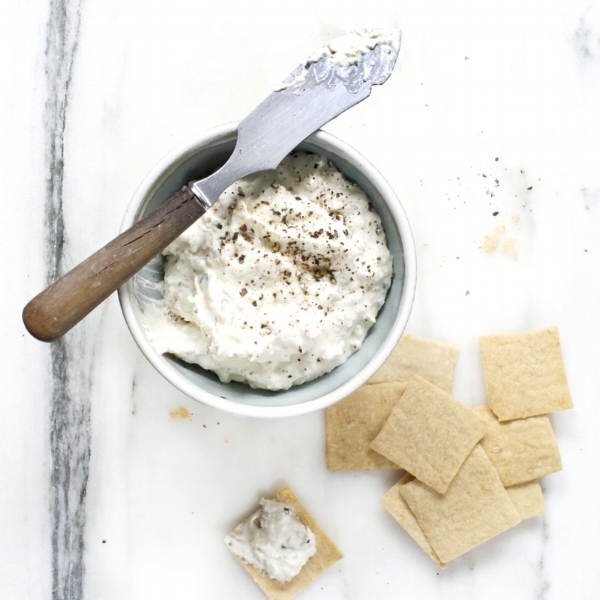 Be sure to serve the dip with the best crackers, and our choice is Onesto crackers. They’re gluten free (but completely don’t taste it), super flavorful and made locally in Vermont. You can read more about them here. 1. Fill a saucepan with water. Bring to a boil. Cut 1 lemon in half and add halves to water. Add shrimp and cook for 2-3 minutes, until shrimp turn pink. Remove with a slotted spoon and place in an ice bath. Once cooled, pat completely dry. Roughly chop shrimp, leaving some pieces bite-sized. Set aside. 2. In a bowl, add cream cheese, sour cream, zest and juice from 1/2 lemon, parsley, and mustard. Season with salt and pepper. Stir mixture until well combined. Fold in shrimp. Taste for flavor and adjust as desired (if mixture is too thick, add an additional lemon juice). Transfer to a serving bowl, cover with plastic wrap and chill for at least 1 hour before serving. Be a part of our club! Get crackers delivered to your door- or a loved one's door- every month without the hassle of remembering to order. Sit back, relax, let us do the work. All major credit cards accepted: American Express, Discover, Mastercard and Visa. Sign up for our periodic newsletters below. We'll let you know about upcoming events, new product launches and other cool things. We promise not to share your information with others or send too many newsletters...honest! Thank you for your support of Onesto Foods. Thank you for signing up for Onesto Foods' Newsletters. We hope you will find our information helpful, motivating and inspiring.